Why Deal With Debt Collectors When We Can? The Federal Trade Commission has introduced consumer protection laws to safeguard the people from the illegal collection practices. The rogue debt collectors pose as law officers or threaten the debtors to take legal action against them. These are some of the common tricks of the rogue debt collectors to retrieve the owed amount. 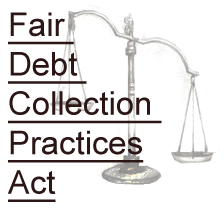 Let PCS Debt Relief Deal With Your Debt Collectors!